We specialize in plants that look great and are easy to take care of for your modern life. Plants can change any environment into a positive one and give your space that extra touch that makes it special and your own. Spruce up your office, home or even just your desk with one of our easy to care for plants! Checkout our air plants that can be placed in just about any location and don't require any dirt! The tillandsias get all their nutrients from the air! Browse all the air plants for sale. 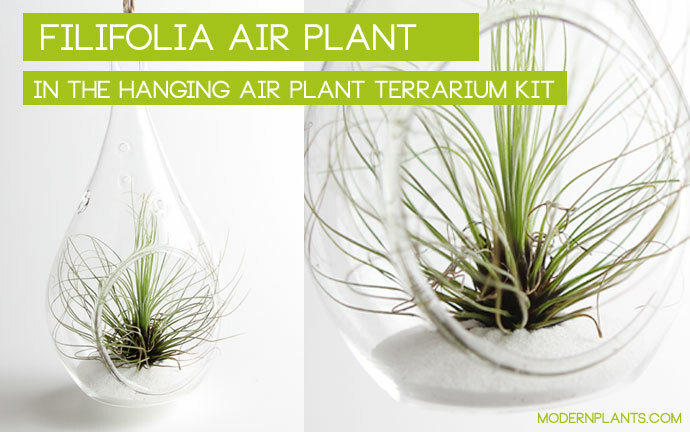 We also carry air plant terrariums and air plant containers in sizes that will fit most popular air plants.